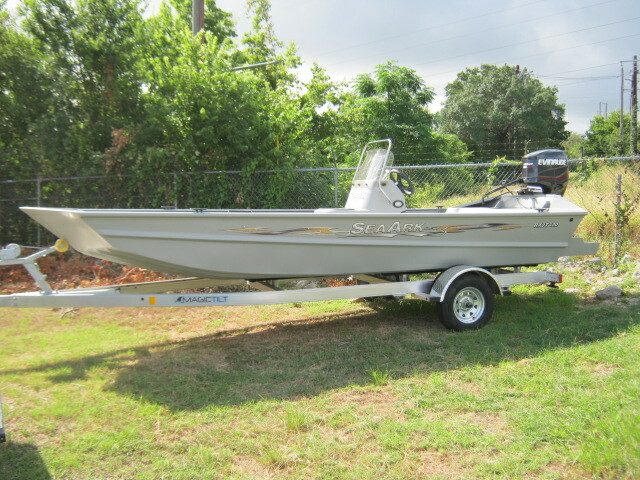 This new 180 River Extreme by SeaArk is a river fisherman's dream. It is the jet tunnel version allowing you to run in seriously shallow water. 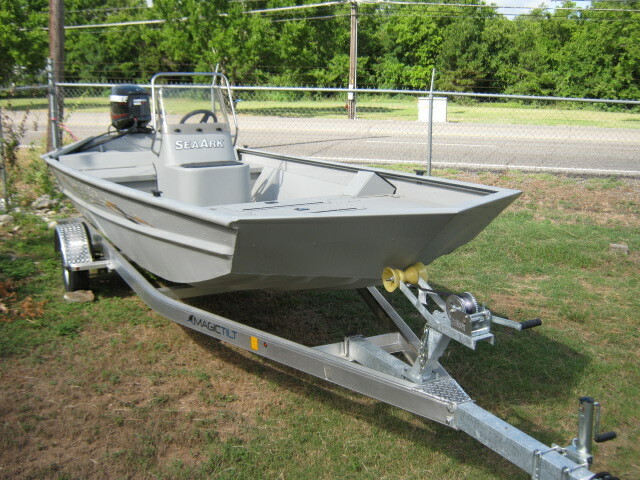 This boat is also optioned with center console, windshield, stainless grab-rail, 18 gallon bow fuel cell, flotation pods, shallow water bracket, two casting seats, and live-well. 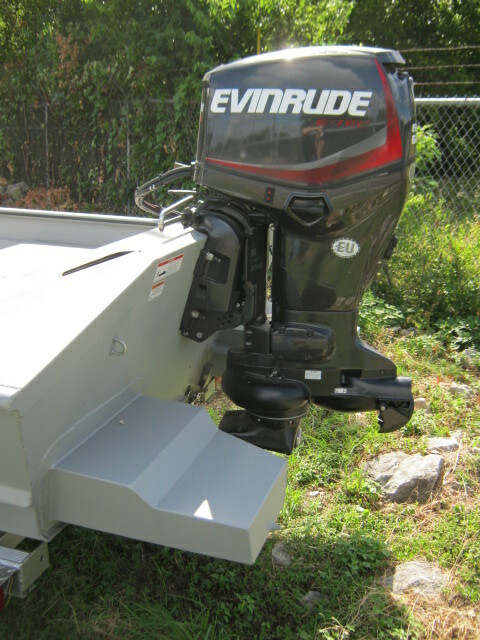 The boat is powered by Evinrudes in line 3 cylinder 90/60 hp jet drive engine. 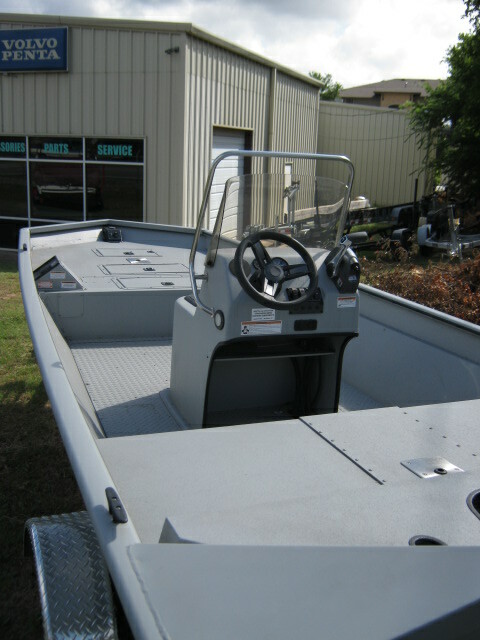 This boat comes on a custom fit all welded Magic Tilt trailer. Persons Cap: 5 persons; 638 lb.